In this age of information overload, Appalachian Heritage strives to be a literary sanctuary for the finest contemporary writing and visual art that we can find. Each quarterly issue showcases the work of emerging and established writers throughout Appalachia and beyond, offering readers literature that is thoughtful, innovative, and revelatory. 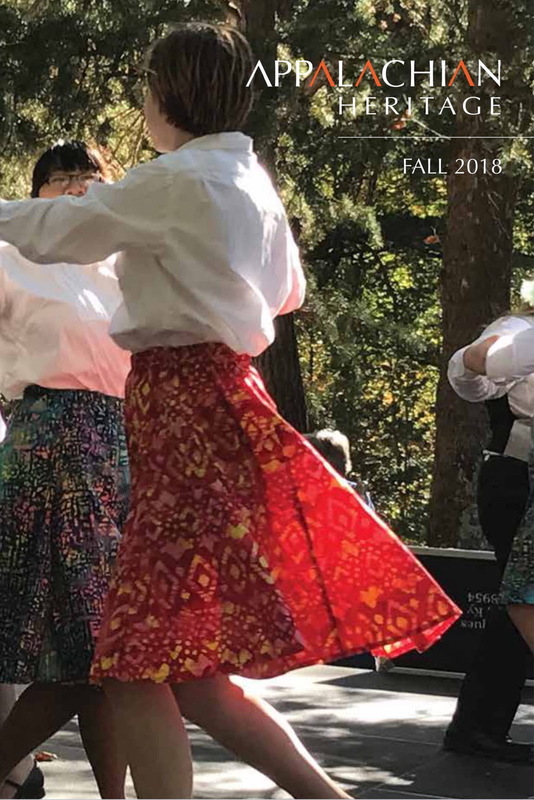 Based at Berea College and now in its forty-first year of publication, Appalachian Heritage considers previously unpublished fiction, creative nonfiction, poetry, writing for young adults, craft essays, book reviews, and visual art. In addition to new and emerging writers, contributors to the magazine include finalists for the Pulitzer Prize and National Book Award; winners of the T. S. Eliot Award, the E.B. White Award, and an O. Henry Prize, among others; and multiple Pushcart Prize nominees. Works by contributors have been reprinted in New Stories from the South and other notable anthologies. Past contributors to Appalachian Heritage include Harriette Arnow, Pinckney Benedict, Wendell Berry, Nikki Giovanni, bell hooks, Silas House, Fenton Johnson, Maurice Manning, Jim Wayne Miller, Ann Pancake, Jayne Anne Phillips, Ron Rash, Lee Smith, James Still, Neela Vaswani, and Frank X Walker. For more information, visit Appalachian Heritage’s website, appalachianheritage.net. Jason Howard is the award-winning author, co-author, or editor of three acclaimed books: A Few Honest Words: The Kentucky Roots of Popular Music (University Press of Kentucky, 2012), Something’s Rising: Appalachians Fighting Mountaintop Removal (University Press of Kentucky, 2009), and We All Live Downstream: Writing About Mountaintop Removal (Motes Books, 2009). His numerous essays, features, reviews, and commentary have been widely anthologized and have appeared in The New York Times, The Nation, Sojourners, Equal Justice Magazine, Paste, The Louisville Review, the international magazine Revolve, and on NPR. Widely acknowledged as one of the South’s finest music writers, Howard has interviewed musicians spanning all genres including the iconic Yoko Ono, Dwight Yoakam, Patty Griffin, Naomi Judd, Ricky Skaggs, Jim James of My Morning Jacket, Skinny Deville of Nappy Roots, Caroline Herring, Jay Farrar of Son Volt, jazz pianist Kevin Harris, and legendary folksinger Jean Ritchie. Howard is the co-founder and former creative nonfiction editor of Still: The Journal, Appalachia’s first online literary magazine, and former senior editor of the national publication Equal Justice Magazine. Howard was awarded the 2013 Al Smith Individual Artist Fellowship in Creative Nonfiction from the Kentucky Arts Council, and was a finalist for the 2013 Kentucky Literary Award and the 2011 Roosevelt-Ashe Society Outstanding Journalist in Conservation Award. From 2010-2012, he was a James Still Fellow at the University of Kentucky. A southeastern Kentucky native, Howard holds a B.A. in Political Communication from The George Washington University, an M.A. in History from the University of Kentucky, and an MFA in Creative Writing from Vermont College of Fine Arts in 2014.